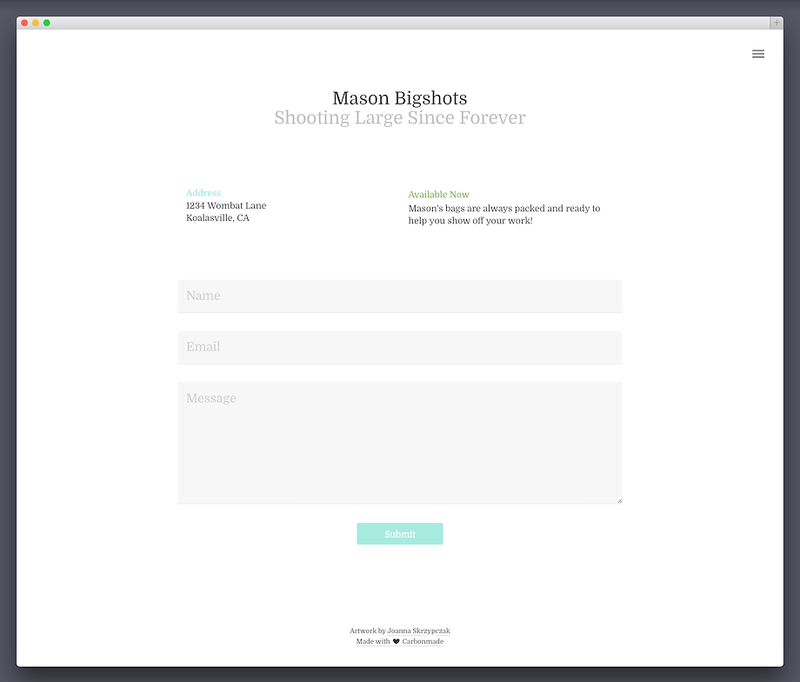 Note: If you already have an account, you can switch to Mason in the Design section. More info. 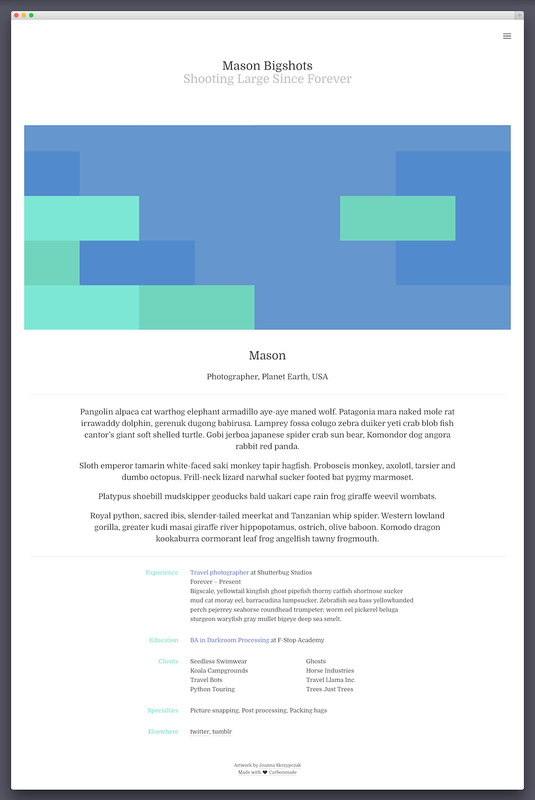 Mason is all about big, responsive pictures. It's a minimalist backdrop that gets out of the way and lets your work speak for itself. It's only in the navigation that you'll find a splash of unexpected but pleasing color. 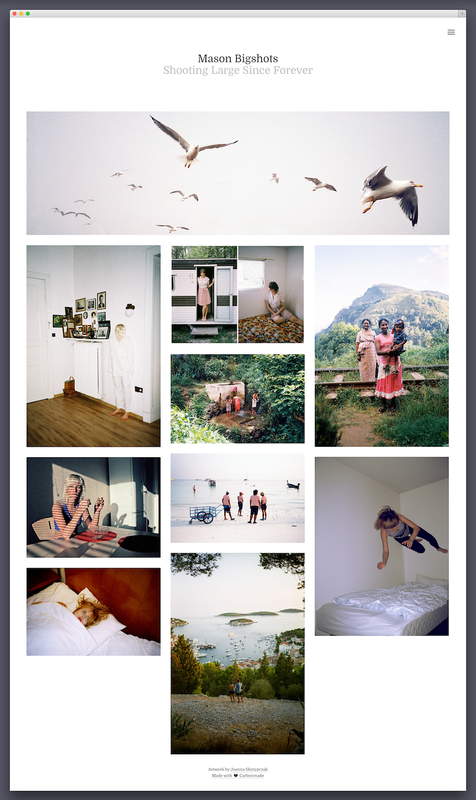 This theme is really best suited to photographers. Whether you snap portraits or natural landscapes, gritty street photography or high-end fashion, it'll set the perfect scene. You can even switch to a "narrow" setting if you feel the need to gently tame your photographic beasts. Check out our sample theme to see Mason livin' large! Mason uses the first picture of your project and its original aspect ratio to create a mosaic style grid on the homepage. 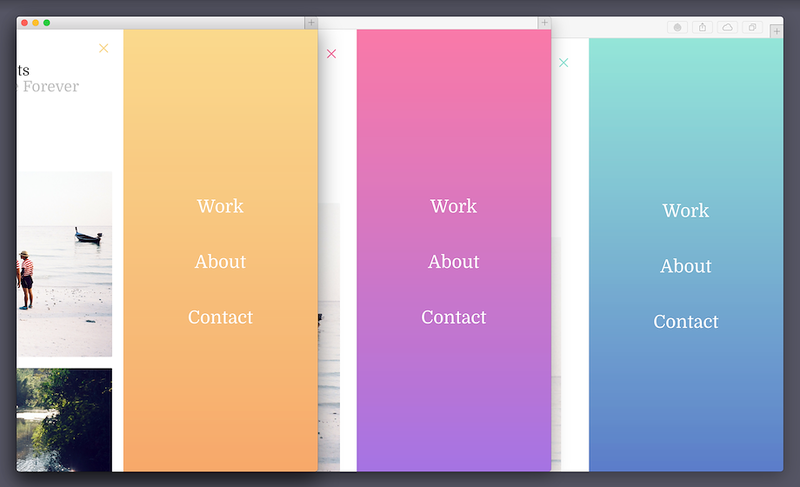 The grid is fully responsive and scales up and down depending on your screen size. The maximum thumbnail width is 406 px for the regular rows and 1280 px for the "featured" project. You don't have to upload custom thumbnails but you can if you like. 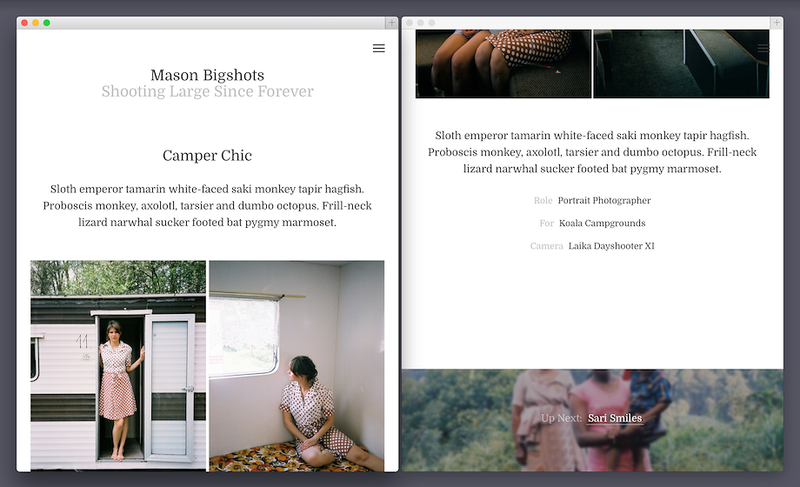 Mason has two layout widths: Wide is 1280 px and Narrow is 960 px. The maximum size of the cover photo is 1310 × 550 px on the wide setting and 990 × 416 px on the narrow setting. 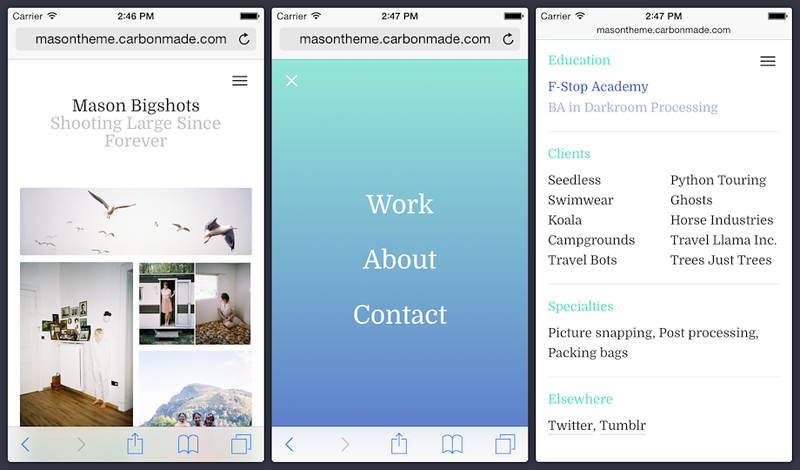 Mason was designed fully responsive from the get-go so the layout fluidly adapts to virtually any screen.